Few studies have investigated the perception of vestibular stimuli when they occur in sequences. Here, three experiments (ntotal = 33) are presented that focus on intravestibular motion sequences and the underlying perceptual decision-making process. Natural vestibular stimulation (yaw rotation or translation) was used to investigate the discrimination process of the direction of a subsequent spatially congruent or incongruent translation or rotation. The few existing studies focusing on unimodal motion sequences have uncovered self-motion aftereffects, similar to the visual motion aftereffect, possibly due to altered processing of sensory stimuli. 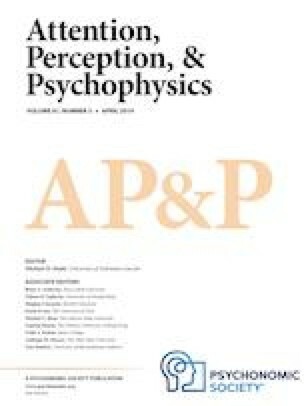 An alternative hypothesis predicts a shift of spatial attention due to the cue motion influencing perception of the subsequent motion stimulus. The results show that participants systematically misjudged the direction of motion stimuli well above the detection threshold if the direction of the preceding cue motion stimulus was congruent with the direction of the target (a motion aftereffect). Hierarchical drift diffusion models were used to analyze the data. The results suggest that altered perceptual decision-making and the resulting misperceptions are likely to originate in altered processing of sensory vestibular information. The online version of this article ( https://doi.org/10.3758/s13414-019-01691-x) contains supplementary material, which is available to authorized users.